This highly visual new guide by Megan Emmett Parker introduces readers to 100 of the most memorable trees in the bushveld –the northern and eastern regions of South Africa, encompassing both the Lowveld and the Highveld. The Introduction covers the basics of tree anatomy, supported by a pictorial glossary, and details the author’s streamlined ID method that will enable quick and sure identifications. Concise text highlights the key features of each tree and includes interesting facts about the trees, their uses and their value among local populations. With numerous detailed photographs and straightforward text, this guide will help readers unlock the complicated world of trees. Megan Emmett Parker has a degree in conservation and a Masters in Environmental Management. These, along with her years of guiding and training field guides, give her a solid grounding in all topics natural. She was Senior Producer on the SABC environmental TV programme, 50|50, for nearly a decade and has authored a range of books, including the best-selling Game Ranger in your Backpack. 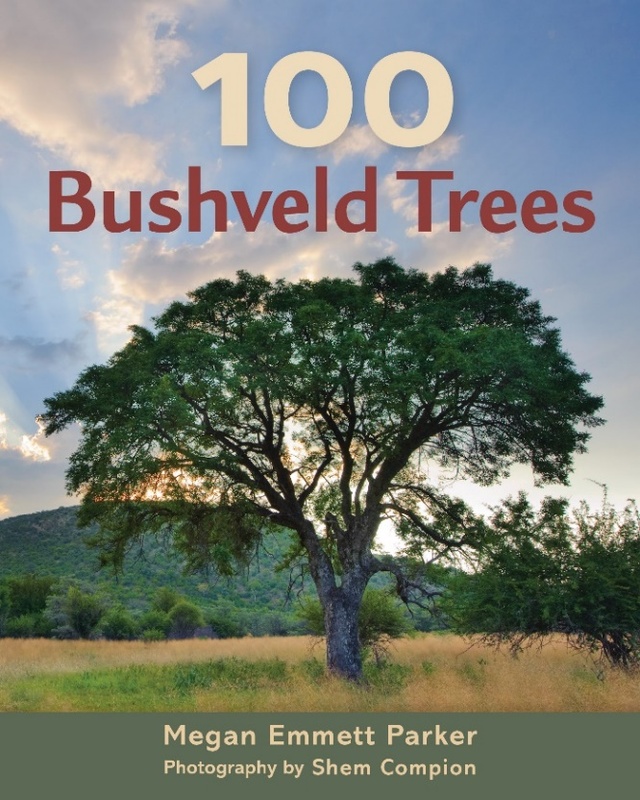 100 Bushveld Trees is published by Penguin Random House. RRP: R300.00 ISBN: 9781775846550.